The NEW Wire is 100% pure performance with zero compromise, SIDI's latest go-to shoe for WorldTour athletes and pros everywhere. Wire features an ALL NEW Tecno 3 closure system utilizing an exceptionally supple, low-friction line material for unimpeded action without binding. 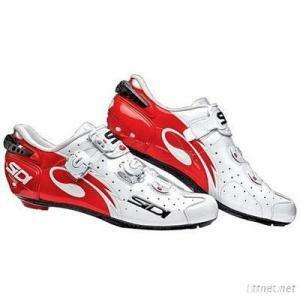 It provides extremely even pressure distribution across the entire foot, for perfect fit with uncompromising comfort and pedaling efficiency. Tecno 3 micro-ratcheting buckles allow easy one-click adjustment in either direction, for simple fine-tuning on the fly. Snug 'em up, and you're ready to throw down. Footwear, Sports Shoes, Sports Shoes/n.e.s.